International trade liberalization historically has taken many organizational forms--unilateral, bilateral, minilateral, and multilateral. Given the proliferation of normative views about which of these should be pursued, economists and political scientists have devoted surprisingly little attention to the reasons for the observed variation in the chosen forms. 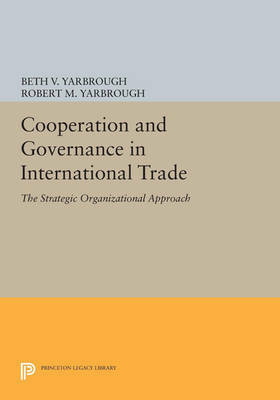 This book is the first to develop a single theoretical framework to account for past liberalization practices and also to anticipate ongoing changes in the international organization of trade policy. Growing out of a multidisciplinary effort combining economics, politics, organization, and law, the book's strategic organizational approach will interest students of trade, international relations, or institutional arrangements. Central to the strategic organizational approach is the view that organizational variety reflects alternate governance structures used to facilitate and enforce agreements. Among the successes of the approach are explanations of unilateral liberalization by nineteenth-century Britain, U.S. governance of multilateral liberalization under the early postwar GATT, growing use of bilateral governance to limit nontariff trade barriers, and anticipation of major moves toward minilateral governance, such as Europe/1992 and the Canada-U. S. Free-Trade Agreement. Originally published in 1992. The Princeton Legacy Library uses the latest print-on-demand technology to again make available previously out-of-print books from the distinguished backlist of Princeton University Press. These editions preserve the original texts of these important books while presenting them in durable paperback and hardcover editions. The goal of the Princeton Legacy Library is to vastly increase access to the rich scholarly heritage found in the thousands of books published by Princeton University Press since its founding in 1905.